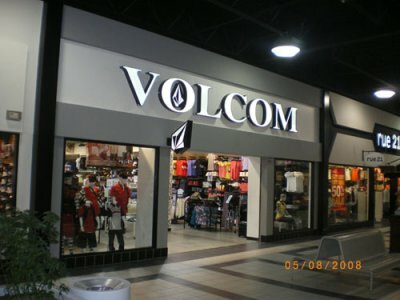 Volcom (ou Volcom Stone Industries) est une marque de vêtements. La compagnie est basée à Costa Mesa, en Californie, et fut fondée par Richard "Wooly" Woolcott et Tucker Hall en 1991. Elle est spécialisée dans les vêtements et accessoires de surf, skateboard et snowboard, de par l'expérience qu'avaient les fondateurs dans ces disciplines. Le slogan de la compagnie est « Youth Against Establishment » (« La Jeunesse Contre La Classe Dirigeante ») et son logo représente une pierre pointue, tournée vers le haut (la Volcom Stone). Perth, Western Austria...29th jan 1983..which makes me a feisty aquarian. For sumer action and some snow time at mammoth throghout the year, but i call my house in city beach, Preth where L've always live and grew ap, home. Do you have a nickname people call you ? how long have you been riding (boarding/skating/surfing)? where is your favorite place to ride (snowboard/skate /surf)? 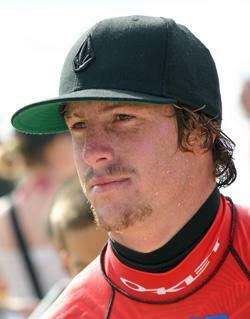 Where to next: Off to Bali for a week just before I'll be over there for the U.S Open, then England and France. Should be sick!! Goals: Ultimately qualify for the W.C.T and just be able to make out living out of something that I love doing.. But for right now I have just been trying to take out the Australian Pro Junior Series and working on building my profile around the world..
and had so much fun doing it. i got info surfing because it's what people did and i rally began to love it. Where do you see your self in 25 years : witch my husband and my children...but i even can't think about all that right now!! what are your goals : to live life and enjoy it the best i can!! !